Civil Rights, voting rights, women's rights, LGBTQ rights, workers rights, privacy, protections from corporate excess and police overreach — these are just a few of the pillars of progress that could be toppled if President Trump has his way in getting Brett Kavanaugh confirmed to the Supreme Court. We have to fight back with everything we've got to stop it. With the stolen seat now occupied by Neil Gorsuch, Trump is determined to remake the Court in his hateful image. Kavanaugh gives him the opportunity he's been looking for. An appointee of George W. Bush, Judge Kavanaugh has a clear history of extremism, ruling that the NSA could surveil Americans, writing that the Consumer Financial Protection Bureau is unconstitutional, and arguing for a vast executive power that could jeopardize Special Counsel Mueller's investigation into Russia's interference in the 2016 election. And at just 53 years old, Kavanaugh would be able to keep pursuing Trump's vile agenda long after Trump is gone. 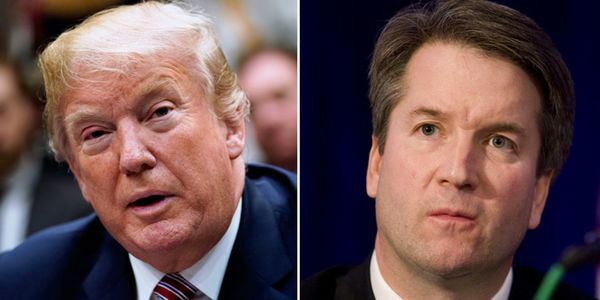 Please add your name to demand the Senate reject Trump's nomination of Kavanaugh to the Supreme Court.